Don't wait until your fan breaks to learn how it works. The more you know about your fan, the easier it is to fix a problem as soon as it arises. Fans can look like simple mechanisms, but there's more to them than meets the eye. In addition to the obvious parts of a fan, there are bits and pieces tucked away that can cause problems or need regular cleaning and repair. Knowing the parts of a fan can help you take the first step to doing these things yourself. The blades are one of the most identifiable features of most fans. These are the paddle-shaped objects that spin and move air through the fan. They're angled to carry air from one point to another. Some fans have a switch that allows users to control the direction of the airflow while others blow air in only one direction based on the angle of their blades. The hub is located in the center of the fan blades. It is the device that connects the motor to the fan blades – without it, your fan would simply not work as the blades and the rest of the fan would be two different pieces. In other words, the hub keeps everything together. The motor is what makes an electric fan go. Whether it's a ceiling fan, a window fan, a desk fan, a computer fan or an automotive fan, they all need power to keep turning and moving air, which typically comes from a motor. Ceiling fan motors are housed above the hub of the fan in special motor housing. Box fans and desk fan motor housing units are typically located behind the hub. Computer fans and automotive fans may or may not have motors separate from the machinery they service, and some models rely on the car or computer's own power supply to turn the fan. 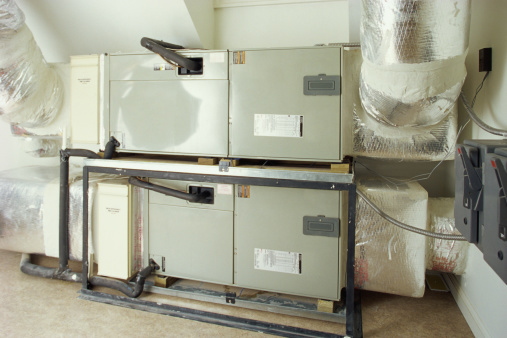 Stating that electrical fans run on electricity may seem like an over-simplification, but electrical components must be present in order for the fan to work. When a switch is flipped, the circuit is whole and power can run from an outside power source to the motor to power the fan and make it rotate. Not all fans have an obvious switch. Fans found in computers start when the computer starts; the switch is thrown when the power is supplied to the whole unit. Fan guards protect both the fan and the user from damage. Not all fans have a guard. Those with a high probability of coming into contact with outside elements – including but not limited to vegetable matter, additional mechanical elements or the user's skin – will have a guard. Ceiling fans typically do not have a guard due to the low chance of encountering a person or object. Computer fans may or may not have a guard to keep the blades from interfering with other pieces in the casing. Automotive fans may or may not have a guard, depending on the make and model of the car and the function and location of the fan. The mount keeps the fan where it's positioned. 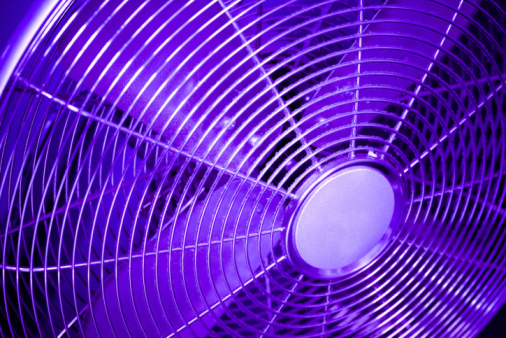 Most fans are mounted with screws and brackets, whether it is to an engine, a computer processing unit (CPU), a ceiling or – in the case of a window or desk fan — to the stand that holds the fan. Without wiring, a fan could not access and use electricity to its full potential and would have to rely on natural stimuli, such as wind, to move, which would be difficult indoors or inside machinery. A wall plug for a desk fan converts energy flowing into a house's outlet into a medium the fan can use. Wiring carries the electricity throughout the fan to the motor and to the blades to make them turn. There are newer fans on the market that are a little different from traditional fans – namely, they're bladeless, so they lack fan blades. Instead, they use newer technology that draws air into the machine and sends it out using principles of low pressure that amplifies the airflow for a bladeless fan experience.